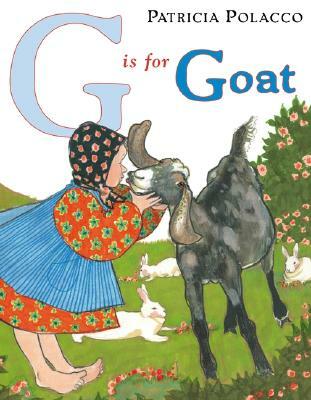 This very simple rhyming alphabet book takes on a subject dear to the author's heart: goats! These lovable, frisky animals prance through the pages, wreaking havoc and charming young children on each spread, from A is for Apple (a goat's favorite snack) to Z is for triplets Zig, Zag, and Zoe. Patricia Polacco really knows her goats-she has raised more than a few herself at her Michigan farm-so her depictions of them are authentic and loving. And the easy, breezy alphabet text ("L is for lunch-get out of their way! M is for Munich; clothes taste better than hay.") will appeal to readers of all ages.